Purple Satin Ribbon, 2 1/4" wide, Double Face Satin, Royal Orchard - TEN YARD ROLL - Offray, Double Sided Satin "Royal Orchid #462"
Purple double sided satin, luxuriously silky and liquidy soft, 2 1/4" width - both sides are equally beautiful. A high thread count makes it superior to other satins. Made in the USA by well known quality ribbon company Offray Lion. PLEASE NOTE: -We attempt to portray the color accurately; however, dye lots and monitors will differ. These photographs were provided by the manufacturer. beautiful and exactly the right color! 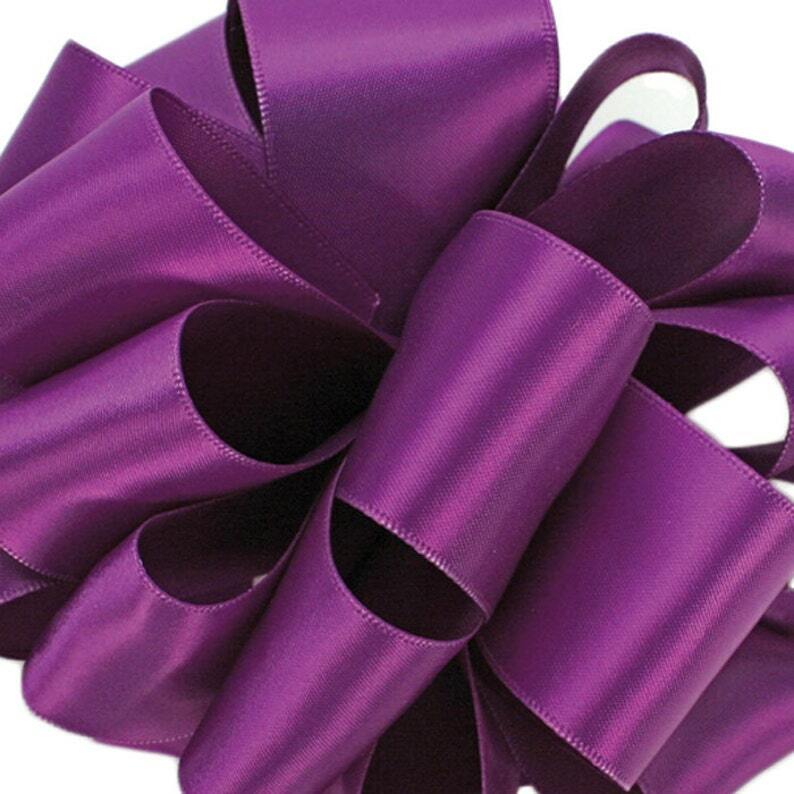 Purple Satin Ribbon, 1 1/2" wide, Double Face Satin, Royal Orchard - TEN YARD ROLL - Offray, Double Sided Satin "Royal Orchid #462"